Since 2009, Breast Cancer Action has been a plaintiff in a lawsuit to invalidate Myriad Genetics’ patents on BRCA 1 and 2 – genes that can carry mutations related to hereditary breast and ovarian cancers. Today, a federal appeals court partially reversed a lower court’s ruling that had invalidated the gene patent. The appeals court ruled that companies can obtain patents on the genes but cannot patent methods to compare those gene sequences. We believe the court made the wrong decision for women’s health. Breast Cancer Action remains committed to challenging the patents on BRCA 1 and 2. We all need to understand what is at stake. Please join us for a free webinar addressing gene patenting and its implications for women around the world. Participants will learn about the latest news in the Myriad case, along with the basic science, patent law, and current campaign efforts. The webinar will be presented by our coalition partners Eric Hoffman, Friends of the Earth and Jaydee Hanson, International Center for Technology Assessment. Breast Cancer Action is the only national breast cancer organization to join the lawsuit against Myriad Genetics’ patents because we don’t take money from companies that profit from or contribute to cancer. Myriad’s patents give them exclusive rights to all testing and research of these genes, meaning that women seeking genetic testing for breast cancer susceptibility only have one, very expensive option. 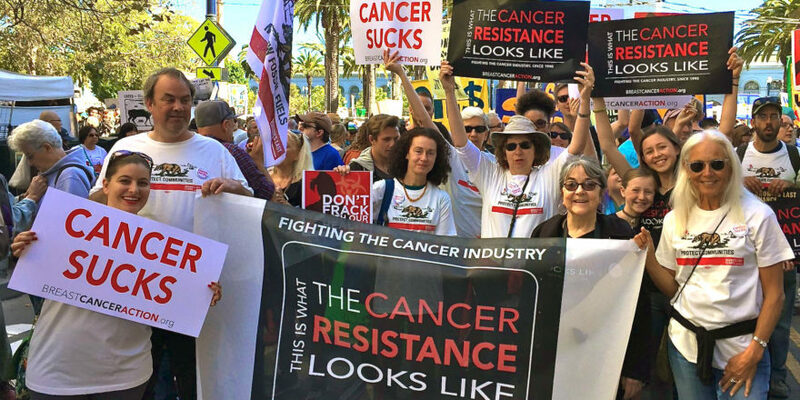 We believe it’s wrong for the government to give one company the power to dictate all scientific and medical uses of genes that each of us has in our bodies. We urgently need more and better options for the treatment and risk reduction of breast cancer, and we cannot afford to have progress stymied by the monopolies that gene patents create. 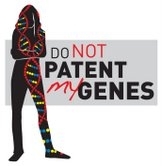 The lawsuit in which we are a plaintiff, filed by the American Civil Liberties Union and the Public Patent Foundation, challenged the legality of the U.S. Patent and Trademark Office’s practice of granting patents on human genes. Specifically, this suit challenges the validity of the patents that grant Myriad Genetics control over the BRCA1 and BRCA2 (the “breast cancer”) genes.